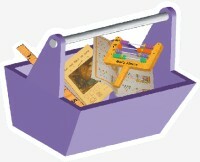 Enter a Contest to win a Free Mac's Abacus Basic kit for each student! We are currently running a Contest for teachers, from Pre-K to Third Grade. We are looking for teachers with the freedom to try new concepts in Math Education alongside their standard curriculum. Our goal is to demonstrate the advantage of our supplementary curriculum in building early math competence for all children, regardless of their innate math ability and to catch them before they become discouraged and decide to avoid math. Special needs classes are also eligible. We will select three classrooms and will supply one Mac's Abacus Kit FREE for each student plus one FREE Kit for the teacher. For this, we will require a monthly report on student’s progress and an end-of-school-year summary report. We will also offer support in developing new lessons if the teacher has special requests. Or you can scan it and and email it back to us at:Contest. Use the subject: Class Contest. We will select the winners from this information. All entrants will receive a reply and will be put on our Newsletter emailing list, unless they opt out.